i went to disneyland and california adventure in february for their lunar new year festival. 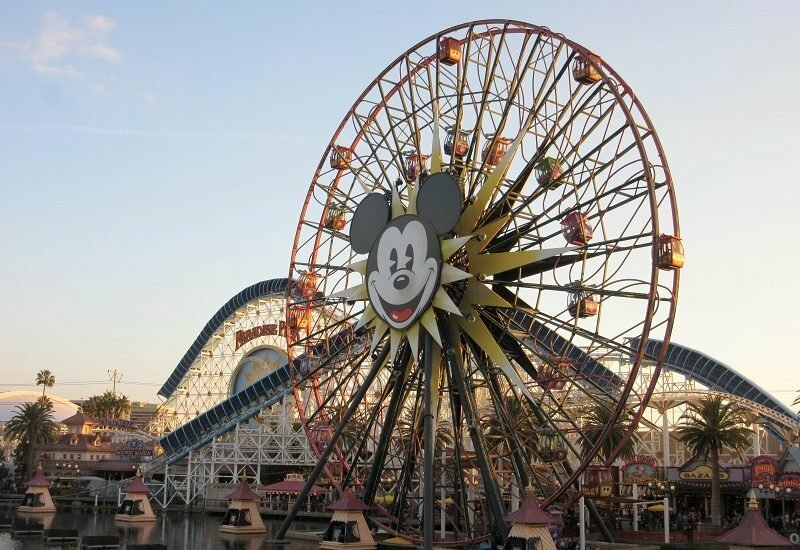 i bought a 3 day park hopper valid until the end of may, available only to socal residents. SO WORTH, especially because a 1 day park hopper is usually $170, and this 3 day park hopper is $190. highly recommend you check it out if you are a socal resident. psa #1: don’t communicate how much shock and pain your wallet is in when you hand over $18 for parking. the parking attendant will look at you strangely. psa #2: don’t bring glass water bottles. you will either have to throw it away or walk back to your car/hotel to put it back. you don’t want your pedometer to hit 2 miles (true story, though this mileage was also because my friend had to walk to get her car, forgot her keys at her apartment, and then had to walk back) before you even enter the park. anyways, they had a pretty solid amount of offerings for the lunar new year festival. there were decorations and the very appropriate red/gold color scheme was everywhere. there were acrobats and a mulan parade (fun fact: i was going to perform in this parade last year, but it didn’t end up happening) and other entertainment, though we were busy doing other things to see everything. there were stations to make paper wishes, and to get complimentary face paint. mulan and mushu were available for meet and greets, which is great considering how hard it is to find them on a normal basis (i’ve seen mulan once and mushu never besides this/the mickey’s magical map show). the major reason for this trip was hurry home, a special lunar new year intro for world of color. it was kind of meh (they used “reflection,” but neither the christina aguilera nor the lea salonga version. what the heck disney?! ), but luckily everything else still made it a fun day. there were food stalls from china, vietnam and korea, and i appreciated their non-americanized (at least sounding; i didn’t actually taste them) offerings, including lo bak go and yaksik. it was extremely overpriced though, especially when you consider all the amazing and cheap asian food around the oc. the only thing my friend and i tried from these stalls was the sweet potato macaron ($5ish, but easily the size of 2-3 normal macarons), with purple japanese sweet potato filling, blueberry jam and a tangy cheesecake layer. unexpected but well-balanced in terms of sweetness and flavor, and the macaron shell was the perfect amount of chewy. would you like to stay forever? cozy cone ice cream: vanilla, chocolate or twist soft serve, with the option of getting dipped in a chocolate shell. i debated getting an apple slushy (for serenity, of course), but ice cream always wins. super creamy ice cream, and the chocolate was on the darker side, which was so nice. (do you see that statue of liberty??). also time for psa #3: if you don’t care about getting your soft serve chocolate dipped, go to paradise pier ice cream co. in between ariel’s grotto/cove bar and california screamin’ instead. portion sizes are bigger at ppicc than at cozy cone for the same price. 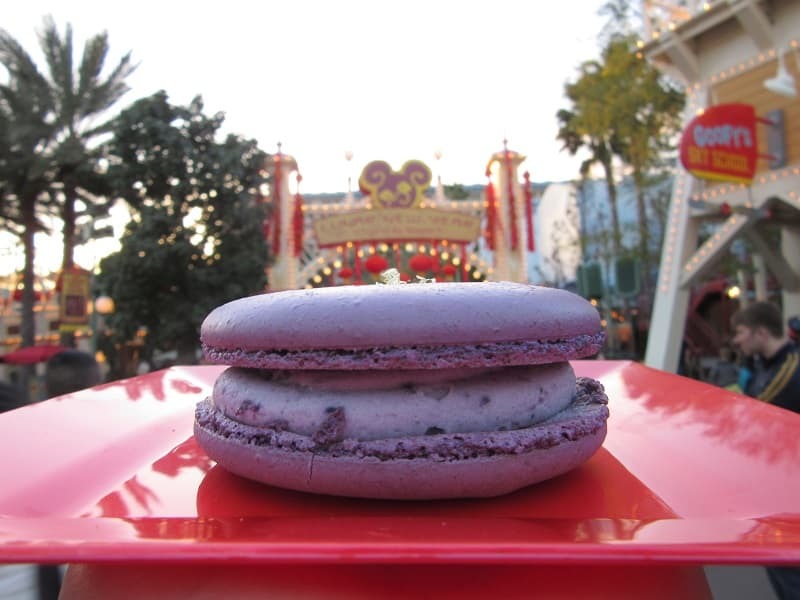 raspberry rose macaron from the jolly holiday bakery in disneyland. i’ve had this one before, but it tasted downright soapy. this time however, the raspberry defeated the rose this time, and i was blissed out on macarons. 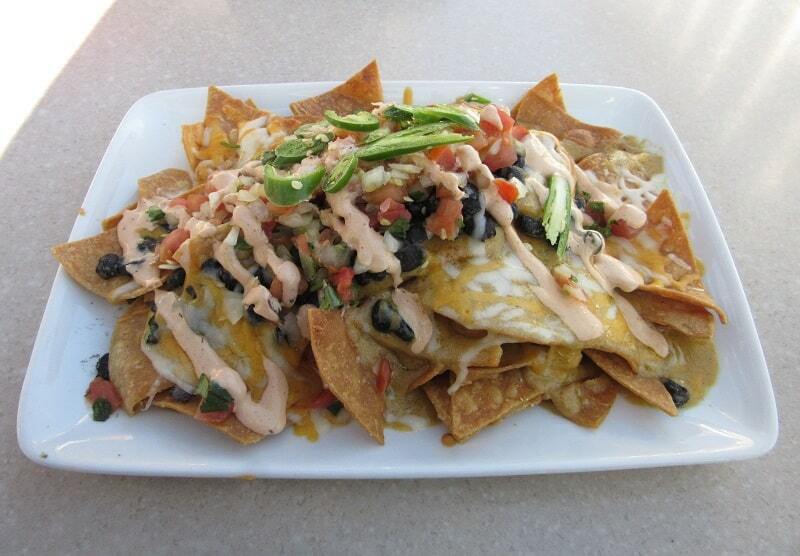 lobster nachos. these nachos weren’t worth fighting for, given the 45 minute wait for a table and $16 ($20 with tax and tip) price tag. the chips were crispy, the pico fresh, the sauce and cheese creamy, but it felt like a game of where’s the lobster. and even when we did find the lobster, it was disappointingly fishy. i’ve heard you can sub in steak or chicken for the lobster, but that doesn’t sound special enough to wait for 45 minutes either. there were also celeb citings involved. not quite like james franco (that’s who my old roommate met outside of the tiki room once), but more like steven lim and mike bow (cody/the best friend in this short). my friend spotted them (i’m a very oblivious person when it comes to these sorts of things) and fangirling + awkward pictures may or may not have commenced. if you’re really bored: how many mulan references were there in this post? leave your guess in the comments! 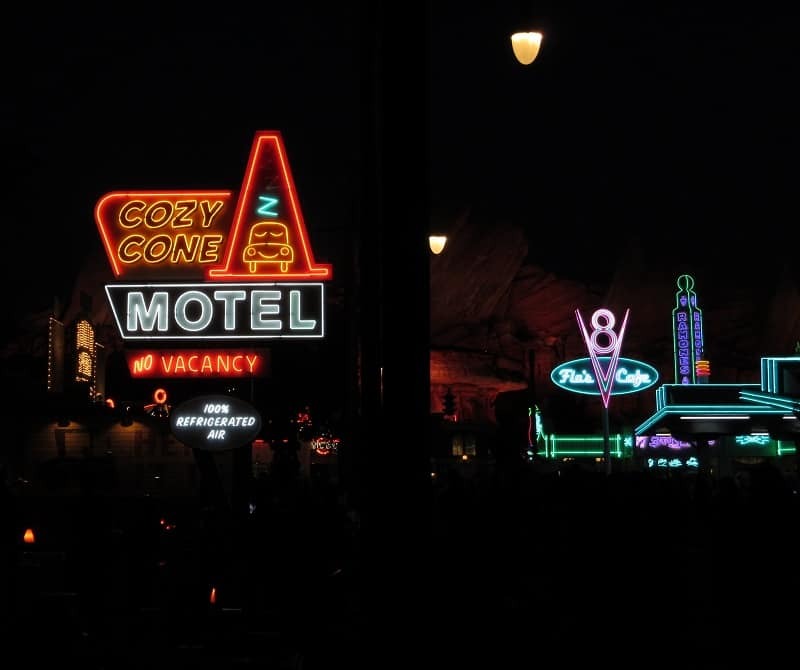 I’ve never visited Disneyland or California Adventure but I can’t wait to change that. That 1 day park hopper deal is totally worth it. The Lunar New Year festivities sounds pretty amazing. MMMMM the food stands, I’m drooling just thinking about all the tasty food. When I go I’ll make sure to bring my walking shoes, sounds like there was a ton of walking. I love this! I’ve definitely been on the receiving end of some weird looks from parking lot attendants :). You want HOW much to let me leave my car here for a few hours? 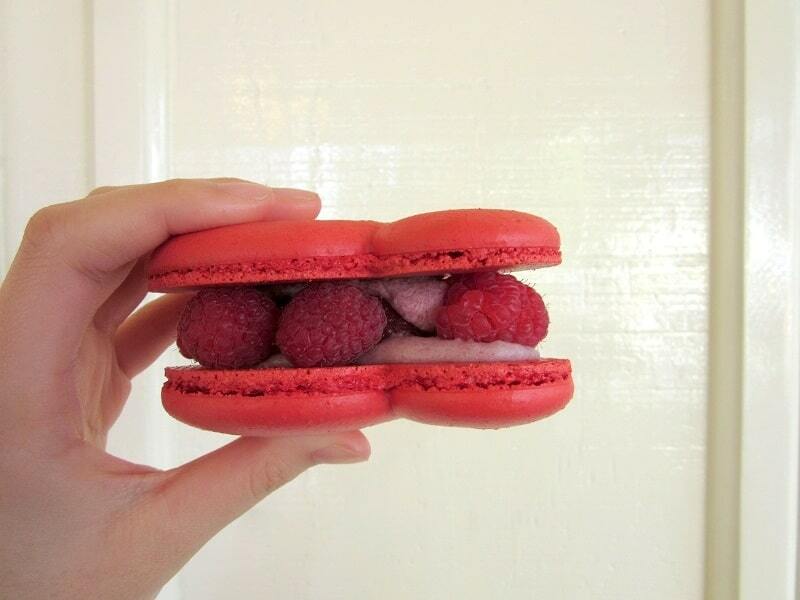 And that raspberry rose macaron looks gorgeous! It sounds like you had tons of fun! oof. sometimes it’s hard to see how much it costs until you go right up to the booth/kiosk, and sometimes it’s so crazy that i go HA NOPE (usually in my mind, sometimes out loud oops) and tell the attendant that i’m turning around and leaving. Yikes at the price for parking, argh! The Lunar New Year Celebration at Disneyland sounds really fun! The macarons and ice cream look really tasty too, especially the purple sweet potato macaroon. Yum! i’m pretty impressed with disney’s macarons (also, i love that they even have macarons at theme parks!). i like that theirs are relatively chewy, they have interesting (but delicious sounding and tasting) flavors, and they’re not too sweet. I just love the Disney Parks. 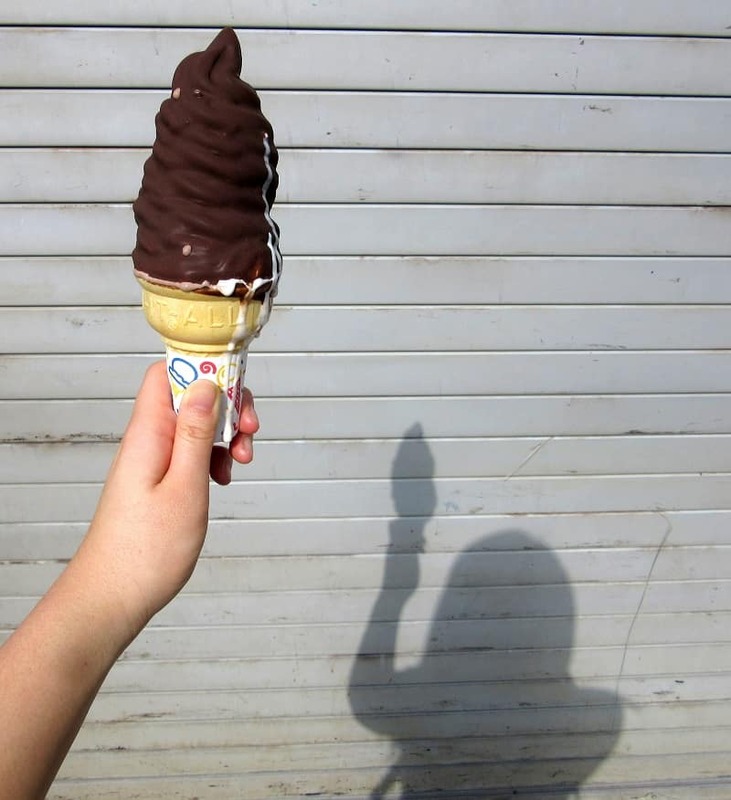 And I’m totally in agreement that ICE CREAM ALWAYS WINS! And the Statue of Liberty was inspired. Times like this I wish I was a SoCal resident. the statue of liberty was a nice coincidence 😉 it was really bright when i took this picture and i was more concerned about the ice cream than the picture (those drips!! ), so i didn’t notice the unintentional statue of liberty until i started editing these pictures. I love all your PSA’s! Good advice!! I haven’t been to Disneyland since I was a kid, despite living in Northern California. My sister and her family went a few months back and was telling my dad about their upcoming trip, and I was like “Wow. That’s gonna be expensive for tickets alone.” And my dad’s like “How much are they? Like $40 each?” Hahahah silly dad. All the goodies you had look amazing. Too bad the nachos weren’t better for how much they charged you!!! well, if i can help spare someone else from dealing with their glass water bottles (can’t help with the expensive parking though 😭), then it’s all worth it 😊 lol that would be my dad too (he’d much rather go hiking; cheaper and you don’t have to deal with all the crowds). Ah! I just saw CA Adventure yesterday! Made me wanna goo!! gogogo! sometimes i see the fireworks from my apartment balcony (even though i’m about half an hour from the parks), and it really makes me want to go. or when i go through john wayne, and all these families have disneyland stuff and i’m thinking about how i was probably taking a final while they were taking castle pictures. if you have a lot of time here, i’d recommend it! but if you only have a few days and your husband isn’t that down, maybeeee not. if you can manage it, i’d suggest going in early november; it’s a nice moderate temperature, the crowds aren’t too bad, and there’s all the holiday decorations (the fireworks are incredible!!). really?!? what was your job? This looks so fun! I have been to Disney in Florida countless times but never in Cali. I hope to make it there some day! i’m biased, but i think disneyland >>>>> wdw 😁 the weather is so much better, and it’s so much easier to do everything you want to (the rides aren’t split between the parks as much, and you can walk between the parks every easily). i think disneyland > wdw (weather, the proximity between the parks, etc), so highly recommend disneyland 😉 that sweet potato macaron was only for lunar new year so it’s gone 😢 they always have macarons (usually raspberry rose and sometimes salted caramel) at the jolly holiday bakery at the end of main street in disneyland though, and those are pretty tasty. i am a sucker for macarons (if that wasn’t already clear, lol). I’ve always wanted to go to Disney land but have never made it that far south. Thanks for the mini tour tho! Also, I <3 Japanese sweet potato anything – major heart eyes. I’ve never been to disneyland and can’t wait to one day soon. What a great adventure! they theme up for everything: they re-themed a cafe for the release of beauty and the beast, and had special food for the anniversary of the pirates of the carribean ride. which is super cool! and i’m a sucker for all of it because i’m like, LIMITED EDITION FOOD?! i had to go back and count and i think i got 3; though i worded that very confusingly lol and i think 3, 4 or 7 are all right in some sense. technically there are 7 if you count all the times i actually wrote “mulan” + the movie references. I’m a SoCal resident and sad (not so sad) to say that it has been YEARS since I’ve gone to Disneyland. I have so many friends who have the annual passes and will sit in traffic, pay the $18, and don’t have glass bottles in their bags when they go. It just seems like way way way too much for me to go, but to see the food you had makes me want to reconsider. I’m glad to hear that the macaron wasn’t so soapy this time and that you got your fill on it. Nothing fun about eating a dessert and it taste like a bar of Olay. Eeeew!!! i’m in the oc, so it’s (only) a 30 minute drive for me, but i can definitely understand that the drive would be a big pain if you’re not from the oc. the food can be overpriced and the majority aren’t the best things in the world, but it’s fun, especially since they’re always changing up their food (and their food is much more interesting than stereotypical theme park food! ).